Processing varies depending on the type of wood flooring we want to achieve, however the initial phase is the same for all: the green outer hull of the bamboo is removed and the stalk is cut lengthwise into strips and then glued together in the desired style. 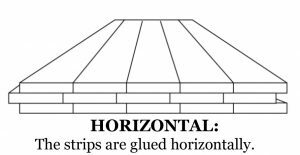 The procedure for making horizontal and vertical planks is quite similar: the strips are laminated on both sides and only the central part of the strip is used which makes the gluing process perfect. 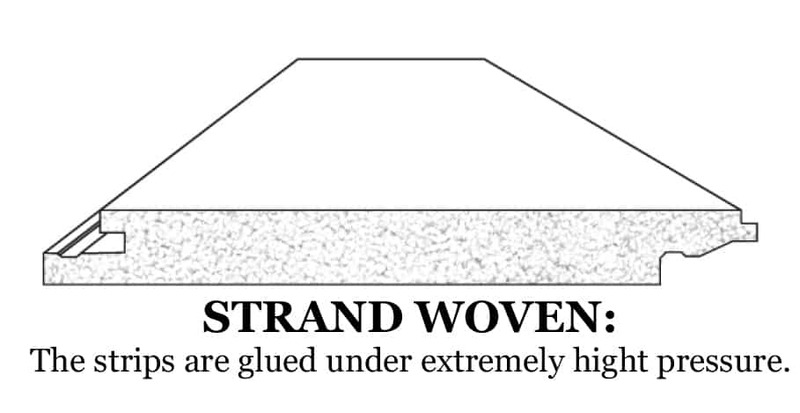 This procedure is essential to make the sides of the strips suitable for gluing. 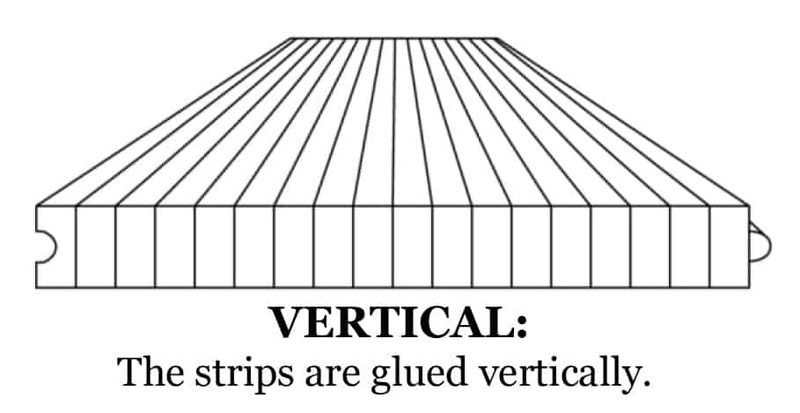 To save time and money many manufacturers skip this procedure and use the entire layer of the strips as they are. In time this can lead to a number of problems such as delamination and loss of the finish and stability, which can cause deformations. 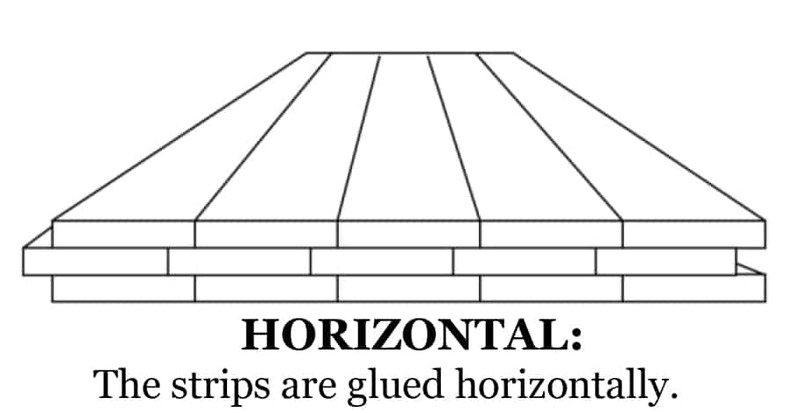 HORIZONTAL: the strips are glued horizontally, displaying natural growth knot. 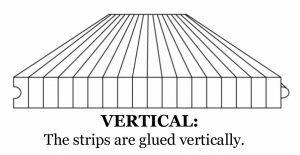 VERTICAL: the strips are glued vertically, displaying fewer natural growth knot. 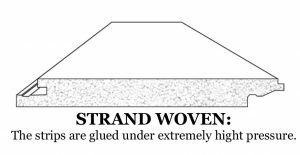 STRAND WOVEN: bamboo fibre remnants (too thin to be used for vertical or horizontal type) are intricately woven and compressed together into incredibly strong boards which makes for a prestigious and robust floor. Armony Floor chooses the mix between the darker and lighter strips to bring the best chromatic result for a beautiful floor. The drying procedure is done at a constant temperature, after which the material is placed in a ventilated area; this process takes weeks if we want to guarantee a product which will retain its shape, be resistant and without air bubbles. All three types of bamboo flooring (horizontal, vertical, stand woven) are available in the Natural shade or Carbonized which offers a variety of shades. The natural colour is the traditional colour of bamboo; a light honey shade. 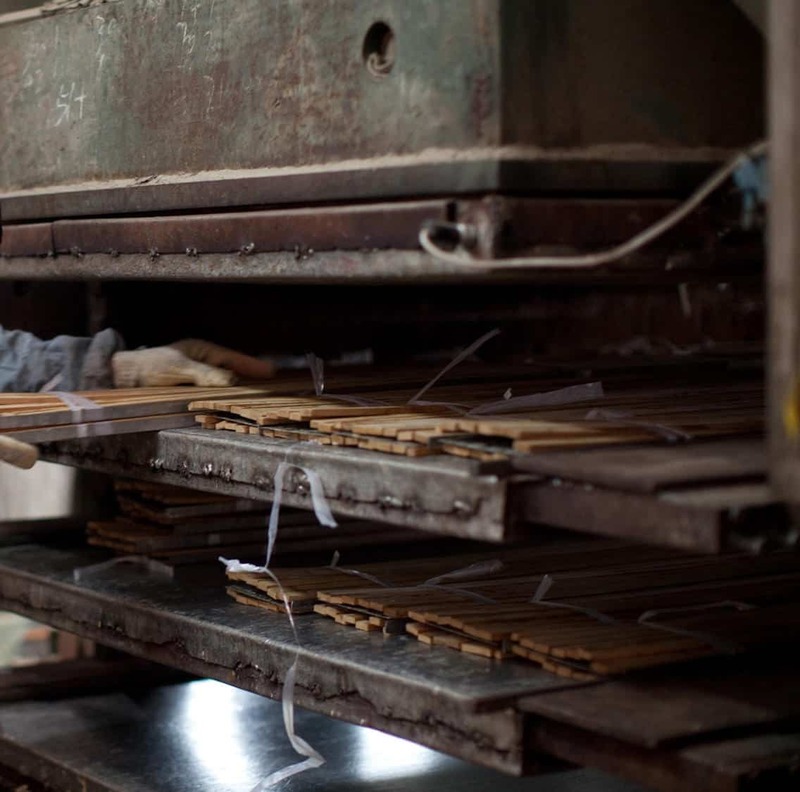 These colours are obtained by “cooking” bamboo at high temperatures in kilns. This procedure produces darker shades which are similar to walnut. Starting with the base of these two different shades, we can obtain remarkable results, very different and much appreciated by architects and interior designers. Formaldehyde is found in all products. It is a natural substance normally emitted by a number of materials. Exceeding a certain level is harmful and for this reason there are strict regulations to limit the emissions. Adhesives used by ARMONY FLOOR are at minimum emission levels (near 0) complying with current EU standards: E1. Our prefinished flooring is treated with Italian manufactured water based paints which are highly resistant and free of harmful emissions. Armony floor offers finishes which are 100% eco-friendly, meaing your flooring will be totally natural, using organic non-volatile compounds, entirely hypoallergenic and antibacterial. Alternatively, you can choose oil or wax-oil, which are also natural and organic. water and fluid-resistant (as in saliva and perspiration), stain-proof. an extremely natural effect. All our products prevent light from being reflected. The type of equipment used in the working process is essential. Each step (cutting, compressing, carbonizing, polishing, finishing) must be carried out by precise, reliable equipment which is operated only by experienced and qualified workers. It is crucial that the temperature and the humidity where the material is placed, are rigorously monitored and that the drying process is done in special kilns. ARMONY FLOOR puts great care into overseeing each step of the production process with their on-site staff; the same applies to the materials used. Bamboo flooring can be installed either on a new screed or on a pre-existing floor. Either way the surface will have to be: compact, planar and not subject to dampness (if it is greater than or equal to 2%, precautions should be taken based on each individual situation). It is always advisable to have an expert in the field evaluate the situation….the same applies to a DIY installation of a floating floor, the subfloor should meet the same requirements as mentioned above. – To install a FLOATING FLOOR AND OR ON A HEATED FLOOR, the most suitable is our maxi plank, with the bottom layer in bamboo or multi-layer birch with tongue and groove, designed to be installed in all situations guaranteeing major stability even in large areas. Regardless of the type of bamboo flooring used, when installing a floating floor the planks must be laid onto a soundproofing mat. Armony Floor natural flooring requires minimum care, whether they have a varnish, oil or oil-wax finish. Its care over time is very simple and quick. Our ad hoc developed cleaning and maintenance products, like our entire line, are natural and vegetable-based, and ensure the best results for your bamboo flour.